Dennis Publishing is launching The Week Junior, The Week's first paid-for print brand extension, next month. 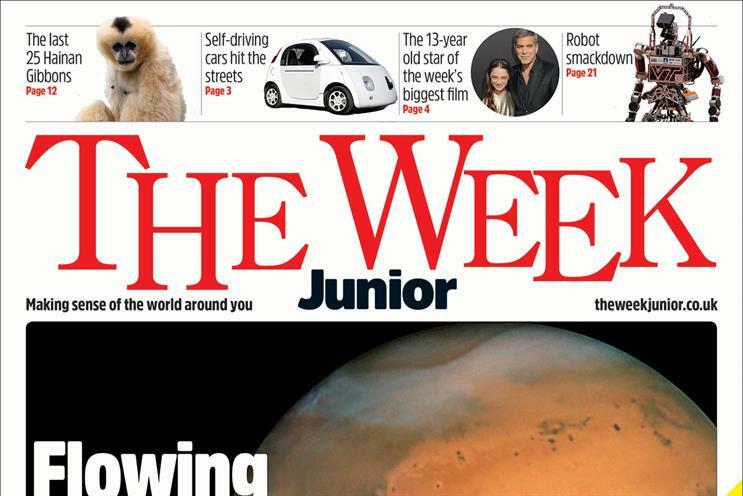 The Week Junior is aimed at "curious and smart eight- to 14-year-olds who want to make sense of the world around them". It will launch on 20 November, priced at £1.99. The magazine will be sold only in Sainsbury’s for the first three months, before being rolled out to national retailers. The Week Junior will be edited by Anna Bassi, who was the group editor for magazines at Egmont. She will manage a team of ten. Bassi said: "I can honestly say that The Week Junior is the most exciting launch I’ve ever been a part of." The magazine will cover news and events from a child’s perspective and encourage them to form their own opinions to share with others. Kerin O’Connor, the chief executive of The Week, said: "I’m extremely proud of The Week Junior’s development. "We’ve been planning the launch for the last 12 months, speaking to children, parents and teachers to ensure we got this product just right. "I’m convinced we’ve got a winner to add alongside The Week."